A few months ago, my friend Ani and I attended a presentation of a new hair care brand, IGK Hair that was created by three celebrity hair stylists from New York, Miami, and Los Angeles. They collaborated to create a line of hair products that represents the style of each beauty capitals of the U.S. I thought it was a great idea and decided to create three hairstyles that will work for each of those cities—with a little twist: I added a pair of stylish sunnies by Zenni Optical to each of those looks. Since I live in New York, I decided to start from a hairstyle dedicated to this city. NYC girls appreciate edgy, but effortless looks that could be easily dressed up on or down depending on where their busy life is bringing them that day. Whether it’s a busy day at work or a night out, a trendy half-bun is a versatile hairstyle that will could look either casual or fancy depending on which outfit you are wearing. Effortless waves and a top bun. Don’t overdo! Always look like you are rocking a second-day hair! Step 1: Start by separating a top section of your hair. Step 2: Apply dry shampoo on the roots of your hair and massage it thoroughly for added volume. Step 3: Secure the bun on the top of your head. 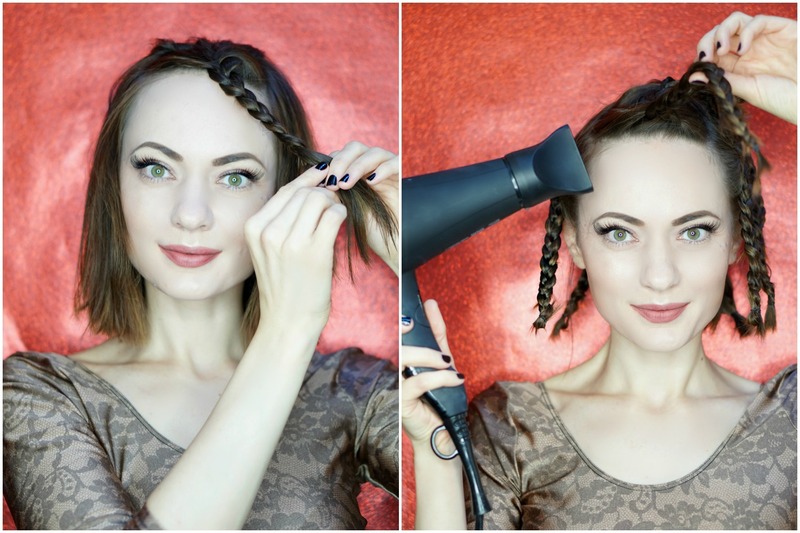 Step 4: Using a curling iron, create easy waves on the body of your hair. 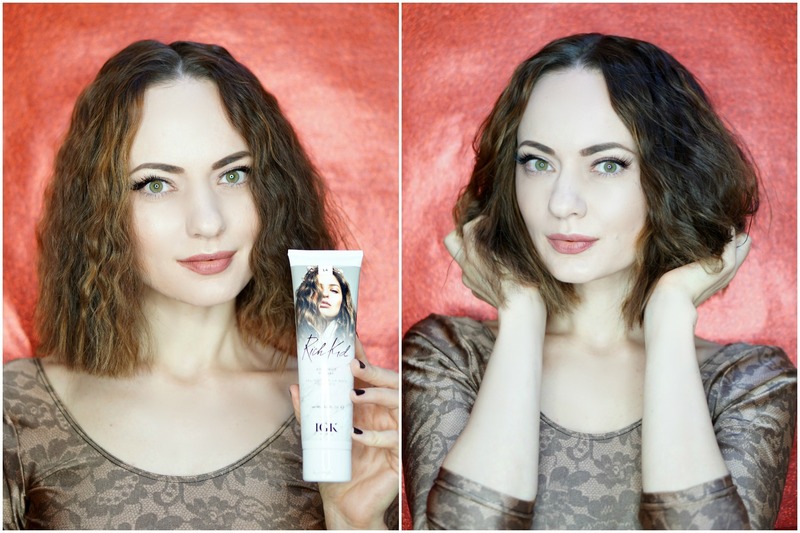 Step 5: Using a texturizing paste, define your curls and add a bit of effortless to your look. Step 6: Finish the look with a pair of stylish readers by Zenni Optical. The glasses I’m wearing are Zenni Optical Glossy Tortoiseshell Round Eyeglasses and those go for just $9.95. Check out the rest of round glasses from Zenni here. I’ve never been to LA, but I follow so many California-based bloggers on Instagram that it feels like I’ve seen it all. In my outsider opinion, LA girls are all about glam—all day and every day. Whether they are going on a shopping spree or meet for cocktails, they always look effortlessly glamorous and chic. The best part about a typical LA hairstyle is that it never looks overdone. It’s creative, well-balanced, and always easy to repeat. This tutorial takes maximum five minutes to repeat and could be considered as a quintessential effortless LA look. Glamorous sleek back hair with a bit of texture on the ends. To glam or not to glam is not even a question! Step 1: Start by applying hair mousse all over your hair. Simply spray it on your brush and go through your hair a few times. Step 2: For added sleekness, follow-up with a hair gel so your hairstyle is heat and wind-proof. Apply the gel with your hands, avoiding the ends so your hair has a bit texture on the bottom. Step 3: Finish the look with fabulous cat eye glasses by Zenni Optical. Mine are called Tortoiseshell Cat-Eye Eyeglasses and you can order them for just $15.95—depending on which lenses you’ll end up picking. For me, Miami is always associated with Art Basel, an international art event and a global party place that Ben and I are trying to attend every single year (not sure about this year, as I’m a student now). Partying in Florida, I’m always impressed with the hairstyles people are coming out with for this artsy event. You can find all sorts of hair colors and structures at Miami Art Basel, matched to edgy and memorable outfits of art lovers. In order to reflect this creative spirit of the city in a single hairstyle, I decided to put together that unique and fun voluminous hairstyle that reminds me of some of the prettiest cities in the U.S. 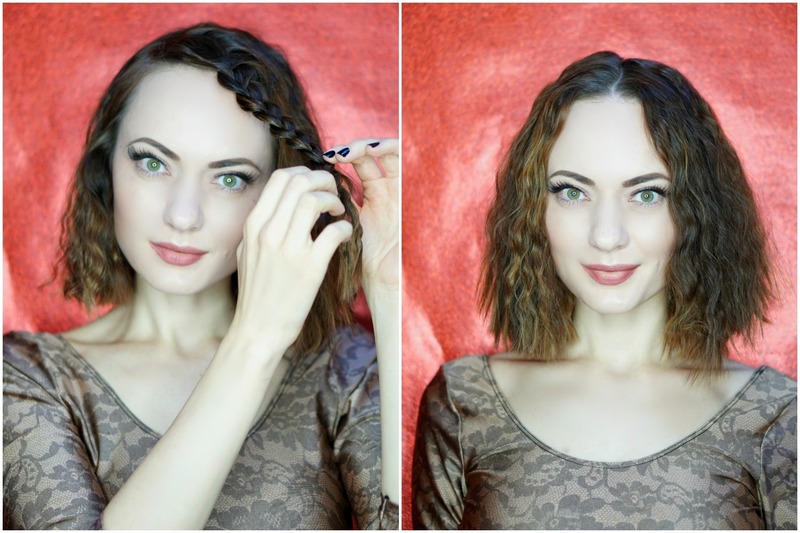 The 80s inspired crimped curls with a center part. Make sure your hair is completely dry prior to undoing the braids! Step 1: Start with damp hair. Apply texturizing spray all over your hair for added volume. Step 2: Separate a top section of your hair and braid it. Step 3: Braid the rest of the hair and blow dry until completely dry. Let your hair cool off for additional 5 minutes. Step 4: Remove the hair ties and undo the braids. Step 5: Apply hair gel all over the hair to create a more defined look. Step 6: Finish with a pair of edgy sunnies by Zenni Optical. Mine are Melrose Cat-Eye Sunglasses in Pink. I hope you enjoyed reading about my recent hair experiments! Please let me know in the comments area below which of the looks you enjoyed the most.